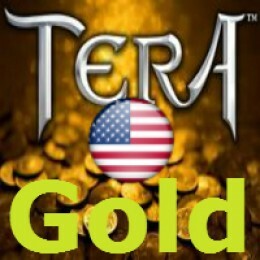 Buying Gold TERA Online US server: Ascension Valley, Celestial Hills-Roleplay, Fey Fo..
TERA: The Exiled Realm of Arborea - Computer multiplayer online role-playing game, developed by Bluehole Studio. It is planned to be released in Europe in mid-2012. The game is developed on the game engine Unreal Engine 3 and is currently out in Korea. Beta tests are active in Japan. Originally «TERA: The Exiled Realm of Arborea» was the code name «S1», and was planned as a successor to «Lineage II», but the developers have gone out of NCsoft and formed his Bluehole Studio. In her work on the project «S1» have been continued under the name of the project «TERA: The Exiled Realm of Arborea». Edition of the game in North America, will the company En Masse Entertaiment, Frogster will the publication of TERA in Europe, Ubisoft will distribute boxed in Europe. The developers have included a new game for this genre of MMORPG system of «non-target». The game will be missing all the shots and the autoguider and the spell will aim through the sight of a small on-screen player. It also revised the system of "instant" goal spells and arrows, as is done in other MMORPG-games. Here we have to calculate the time, the distance to the enemy, as your speed and the enemy, as well as the velocity of the wind, as all the shots and spells reach the goal at once. And the speed of arrows will be higher than the speed of spells. 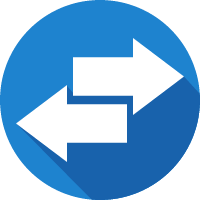 There are also homing spell, but their activation will occur only after the "manual" hit earlier in the sequence casting.